The high proportion of Chardonnay brings a stone fruit aroma of white peach, and a broad rich note of brioche- that combination of aromatics and acidity match the gooey layer of peanut butter that covers the fluffy marshmallow. Meanwhile, the creamy airy fluffiness of the marshmallow allows for the mousse of the Champagne to take center stage. The bubbles of the Brut La Francaise are so pronounced, you can feel them popping away on your palate! There is such a whimsical, fun familiarity about this, it is registered in everyone’s memory bank of scents and smells. Whether you know them as Peeps or chocolate covered marshmallows- I am head over heels for this pairing for Easter. Combination of peanut butter, marshmallow, and chocolate has never been more delectable! 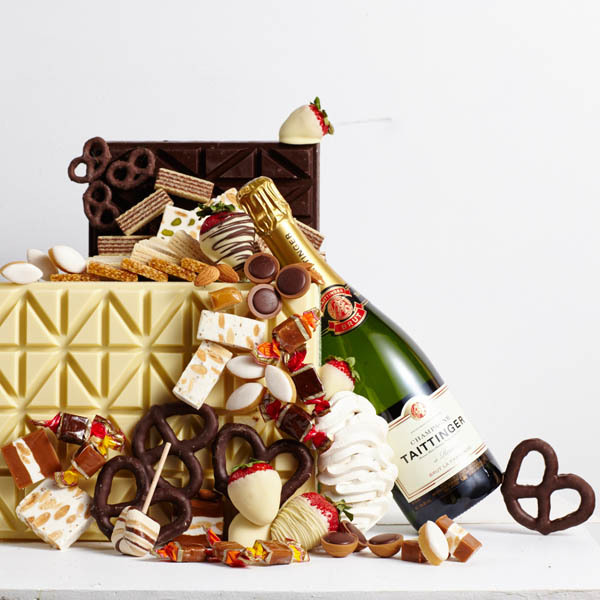 The butter and milk is replaced by BLF Champagne in the process of making this gem, and you taste the concentration and complexity that the Champagne adds to this divine bon bon. 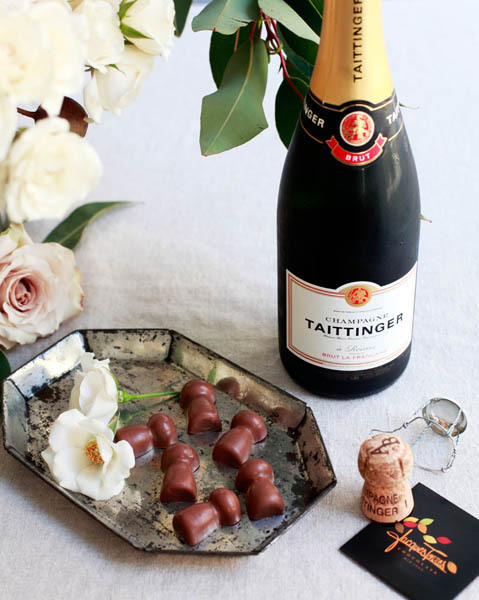 The milk chocolate shell can stand up to the BLF because the Champagne has the right amount of density in the mid palate and vibrant fruits that remains persistent on the palate as the chocolate melts in your mouth.